On the 11th July, 2015, Uganda Celebrated World Population day, an event hosted in Sembabule district. The Global Theme was: “Vulnerable Populations in Emergencies”, and local theme was Prioritizing Community Transformation: Addressing the needs of Vulnerable Populations". Demography in Uganda is a very vital matter given the population structure and has an impact on education, health, job creation and nature of economic reforms an economy under takes, governance and accountability among others. The above variables are all function of a sustainable population. Such can be achieved when young people are not only improved in "human quality" but also empowered and given a chance to make critical decisions about their social life and sexual choices among others. 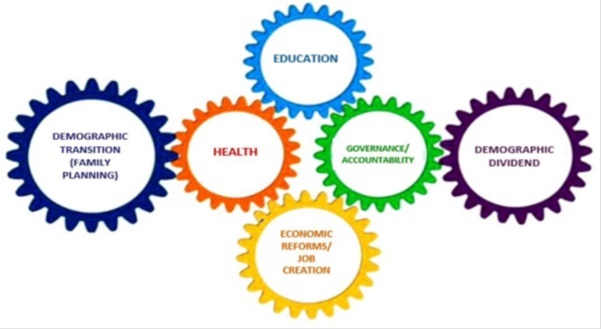 With the above, inter-playing factors the above factors in the best manner, Uganda can achieve a demographic dividend with positive help from partners like UNDP Uganda, UNFPA Uganda and other sexual reproductive health organizations. An OpED elucidating how Uganda can use this window period as a growth accelerator was published in the New Vision on 26th August, 2016 written by same author. By 1918 as the Great War (World War 1) was ending, men got out of deep trenches where living conditions could not be imagined to get any worse. Something flared up as benevolent as any other cold, the influenza pandemic was breaking out, and by 1919, it had killed as estimated 40 million people, effectively obsoleting the record hitherto set by the four-year Black Death Bubonic Plague of 1347 to 1351 synonymously called Spanish Flu. Far from the normal cold, an outlandish scourge out to ravage earth had broken loose. Influenza. In two years it went on to affect a fifth of the world's population with its wrath being most felt by people between 20 and 40 years. 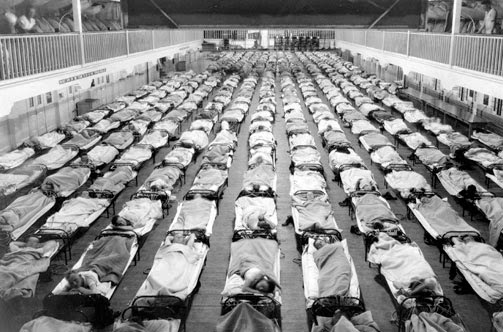 An estimated 675,000 Americans died of the influenza pandemic, ten times as many as in the world war; half of Americans who died in Europe did not fall to the enemy’s bullet but to influenza virus. Medics watched patients die trying to clear their wind pipe of blood-tinged froth, sometimes a patient’s mouth gashed with blood. Physicians of the time were helpless against the dominant agent of influenza. 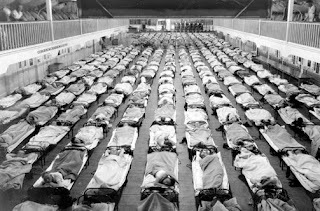 Most of humanity felt the effect of this influenza strain; it followed path of its human carriers, along trade routes and shipping lines. Outbreaks swept through North America, Europe, Asia, Africa, Brazil and the South Pacific. In India the mortality rate was extremely hefty with about 50 deaths per 1,000 people. One thing underlined, the world was not ready for the epidemic. The 2014 Ebola epidemic has been terrible. The bright spot is that, on March 5, 2015 Liberia had released the last known Ebola patient but an infection re0ccured on March 20th, a single case easier to treat. Between 1976 when Ebola was first reported till 2013, it had killed about 1500 people in totality, countries however did not take great leaps to improve on response strategies to the virus; this time, 24,340 people have been infected with Ebola since December, 2013 and over 10,000 have died. Just like response in the pre-1918 influenza outbreak, affected countries were not only unprepared but had no response systems in place. 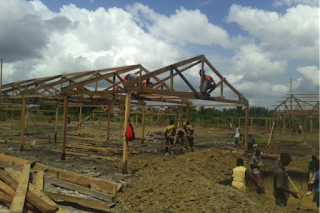 In West Africa, financial accountability of Ebola funds has generated tremendous audit queries in Sierra Leone mainly. Like in the Ebola stricken countries, most poor countries do not have systematic disease surveillance mechanisms deployed; even after an emergency is evident, mobilizing trained personnel for areas of need which should be within days is not possible. In West Africa affected countries were handicapped, only turning to look at not-for-profit groups like Doctors-Without-Borders for response. This means one thing, the world is not ready to respond to its next epidemic. Currently, much of the debate about response to Ebola has been whether WHO, CDC and others could have responded better. As Gates Foundation puts it, central to the discussion should not be how systems were insufficient, but how there hardly any systems in totality. Just like in pre-influenza 1918 when countries could not conduct research on imminent diseases due to warring tensions; today, vaccine labs work based on market demand and cannot continue conducting extensive research on Ebola in times when there are no infections; simply because demand plummets. The world is always resuscitated by the scathing fact that there is no Ebola vaccine when a virulent outbreak occurs. Several Ebola vaccines were first conceived more than a decade ago but then shelved. As Dr. Jeremy Farrar of Wellcome Trust puts it, medical-research, pharmaceutical and global-health communities have hardly dragged their heels as the past year’s epidemic progressed, nor did affected governments, donor governments and private philanthropists; coupled with lack of consensus on agreement over trail protocols caused further delays. Decisively, today, world has 7+ 1 billion people with unpredictable mobility; people who are dynamic in character and behavior; people whose life patterns tend towards impatience; people with human desire accompanied by peculiar responses to the respective desires; on several occasions getting uptight and up-close without knowing either’s name. People are moving for various businesses, conferences, holiday, almost as much as demographic changes that were created by the Great War. Just as humans were carrier to influenza, today each human is potentially vulnerable to or is potentially a carrier to a virus or disease they barely even know. Unless human health surveillance systems are globally improved, human are at risk more than ever before. 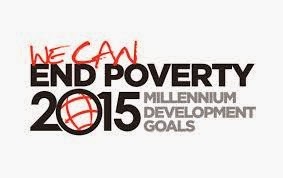 This year 2015 marks the end of MDGs implementation. Recognisable success has been hit on all the eight goals however there is still a lot to be done to continue with progress as well as sustaining what have so far been achieved. For a Global Health Corps post, I made an assessment of Uganda's achievement of the MDGs in relation to health. Ending poverty by 2015 was one of Uganda's goals; much as nominal face of poverty looks to have reduced but in real sense poverty has increased due to excessive inflationary tendencies and reduction in the level of ownership of property such as land, animals and several property that is non monetary. Copyright @samagona. Picture Window theme. Powered by Blogger.